“I’m really passionate about what I do, but I also get really emotional about it.” Rohan Kundargi warns me as we sit down to discuss his new role as K-12 Community Outreach Administrator at MIT’s Office of Government & Community Relations. He needn’t have worried—what was portrayed as histrionic ardor for subjects like STEM learning, education reform, and public service actually comes across as warm, effusive enthusiasm, powered by deeply held convictions. In a broad-ranging conversation early last December, we discussed everything from erasing barriers between high school and college to the importance of reciprocity in institutional relationships, to the differences between Western Washington (what everyone thinks the state looks like—Seattle) and Eastern Washington (“basically Idaho”). 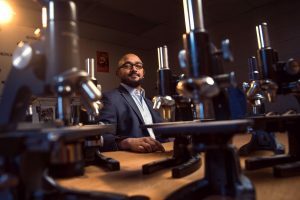 Joining the Community and Government Relations team in mid-September of 2018, Rohan sees his role as a natural extension of his previous job at Gonzaga University in Spokane, Washington, where he served for two years as Science Coordinator, a position created to bring Gonzaga’s K-12 STEM resources into the service of the local community. Though he speaks with great affection for his time in Washington, Rohan is thrilled to be back on the East Coast and to tackle the challenges presented by his new role. He admits that the intensity at the Institute can be a little daunting, “I’m still getting used to the MIT-ness of everything,” but recognizes that it is uniquely placed to effect change in the educational landscape: “MIT is a role model for other universities… I would like to think that [if we start something,] other universities will follow.” He’s also aware that his new home base offers a wealth of opportunities that are unique to this area. With the outsized number of universities based in Greater Boston, it’s easy to find people who share a commitment to and enthusiasm for effecting positive change in U.S. schools. It’s a privileged position to be in, which Rohan says, he didn’t realize until he left the area right after graduate school. Broad Meadows featured a diverse student body, including immigrants, refugees, students from the local housing projects as well as the children of the South Shore’s wealthiest families. 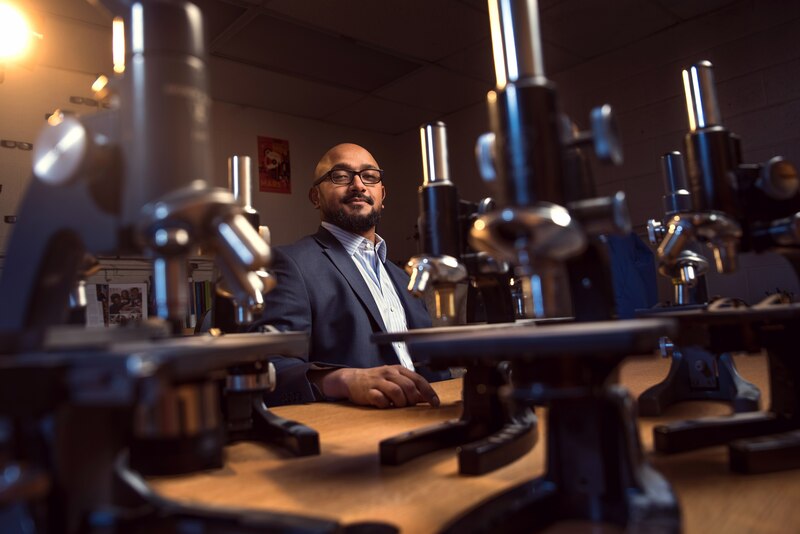 In addition to the excitement of hands-on teaching, the experience gave him a renewed appreciation for his role as a racial minority working to effect change in the K-12 STEM landscape. 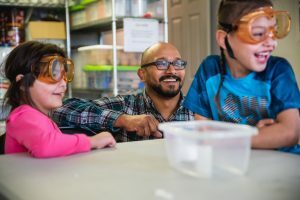 “I’m a brown-skinned person,” he begins, “and I found that [my] being there, teaching climate science to 7th [graders]… there was a group of students who reacted to me in a positive manner that they didn’t react to other teachers, purely because I looked like them.” It reminded him that representative education—and representative educators—are a major part of changing and strengthening the fabric of the American educational system.